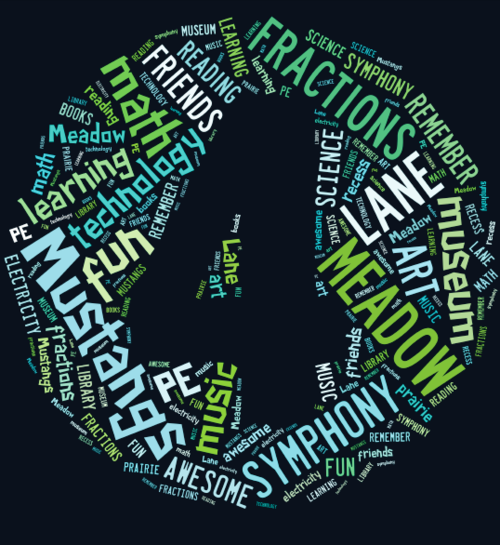 5th Grade Word Cloud - All about 5th Grade! Today you are going to open a "New" document in Google Docs. You are going to create a list of all the things you did and LOVED about 5th grade. You need to have at least 10 - 20 items listed. It could be anything--such as how you felt about 5th grade, memories, subjects, friends, activities, etc. Once your list is complete, you will watch a video on how to make a word cloud. You will use an on line program called Word Clouds to create your project. 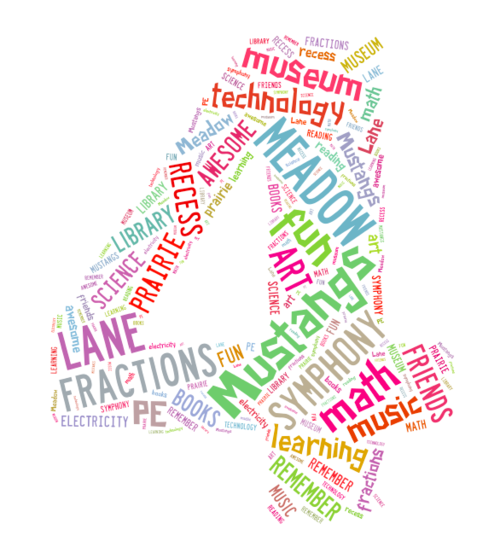 You will use the number "5" image in your word cloud to represent this year in 5th grade! Have fun and be creative! Click on the hyperlink below to access the Word Cloud website. A could examples from 4th grade!